We're super excited to announce Michael Jamieson as the new Musical Director of Auckland Youth Symphonic Band! Michael is a brilliant saxophonist and music teacher; he co-runs the New Zealand Saxophone Summer School each year. Outside of AYSB, Michael is the lead saxophonist in the Royal New Zealand Navy Band, and has played with many orchestras including the NZSO and APO. Be part of Auckland's Longest Running Concert Band. The AYSB welcomes all intermediate and high school students, plus anyone university-aged or young at heart! played by yourself, friends, and others across Auckland who simply love to do it. Share music with friends, family, school mates. 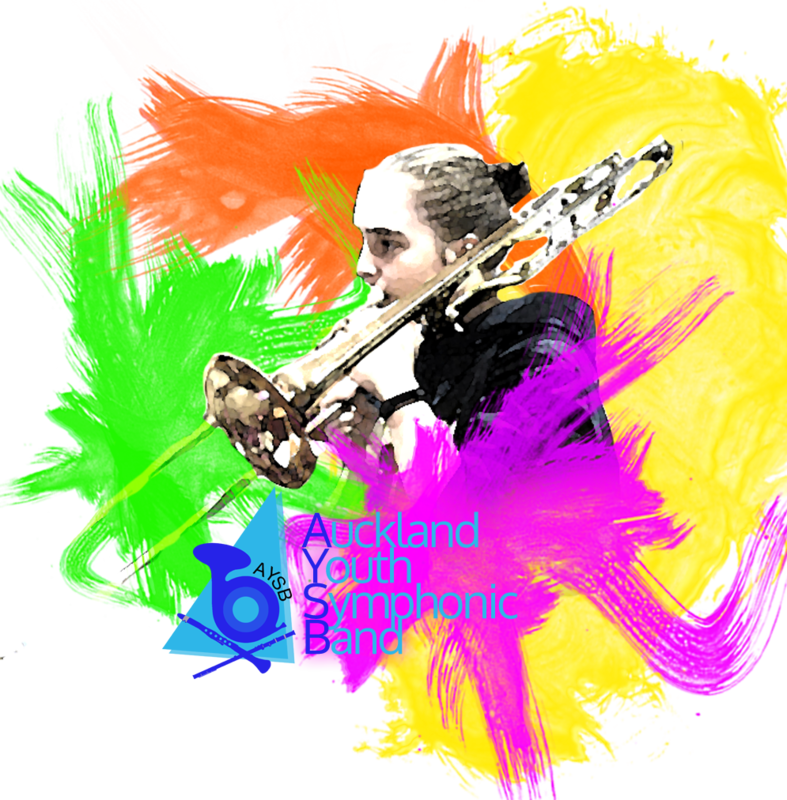 Perform for the community, in the Auckland Youth Symphonic Band. So, AYSB gets heaps of cool gigs. Each year we perform with the Auckland Wind Orchestra in a combined concert. In 2017, we were asked to play at the #Glenbrook40 celebrations - the Glenbrook Vintage Railway down near Waiuku. This was a really great day (even the rain couldn't put us off!) for everyone. Time to bring out the classic train tunes - Chattanooga Choo Choo was a hit! This year, 2019, our highlights of the year will be heading to the NZCBA Concert Band Festival; performing with our senior band the Auckland Wind Orchestra, a Christmas Concert with a local choir, and performing at the Yorkshire Day celebrations down in Pukekohe - a huge variety of music, and led by our fantastic new conductor, Michael Jamieson! Band Calls. Will you join us? We're always looking for new players to join the whanau. If you go to intermediate or High School in Auckland, come along, try the band out! Rehearsals are on Mondays, 7-9pm, at Freeman's Bay - details here. Play flute, picc, clarinet, sax, oboe or bassoon? Want to learn an instrument, but school doesn't have one? All good, we've got instruments available for hire! Make a racket on trumpet, play a mean trombone, crazy about horn, love eupho, or make rude noises on tuba? Awesome! Love to see you at rehearsal! Whack a sweet as drum? Want to learn heaps more percussion than you'll ever see at school? Try out AYSB - we've got timpani, gongs, your traditional kit, marimbas, and all your usual orchestral percussion. Haven't done much orchestral stuff before? No worries, we're here to help!